Twenty four hours before Labour leader Jeremy Corbyn makes a speech on Brexit, some of his own activists have been pressing for a more robust stance. The party's current policy is to oppose Theresa May's deal, then call for an election - and only if that doesn't happen should other options be considered. These would include (but are not limited to) what the party calls a "public vote" on Brexit. But some members are becoming more vocal in demanding the leadership speed up calls for a new referendum. Labour's international policy commission - which consists of shadow cabinet members, trade unionists and rank and file activists - discussed Brexit for two hours on Wednesday afternoon. The commission doesn't have the power to change policy but it heard party activists' concerns. I understand more than 5,000 Labour members posted submissions to it. I have sifted through some of these - and here is a flavour. A party member called Margo Sheridan declares: "It's now crunch time - a large majority of Labour members now want a new referendum." If that doesn't happen, she says: "It would break my heart to leave the Labour party after 42 years, but I would have no other choice." A councillor, Andrew Prenter, says he is "in despair over the leadership's strategy on Brexit". And an activist called John Newham says: 'Given the likelihood of parliament being unable to agree on the PM's deal, Labour should seize the initiative and propose a second referendum." Many more contributions are in a similar vein. Labour sources point out that only around 1% of Labour's mass membership have made these views known to the policy commission. And we certainly should not assume that all of the despairing comments are spontaneous. The People's Vote campaign has been encouraging its Labour members to press the party leadership to support a new referendum. These campaigners are often dismissed by those close to Jeremy Corbyn as "centrists" or "Blairites". 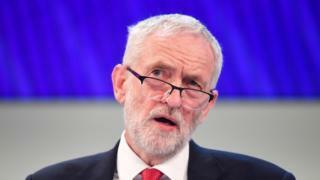 But some on the Left - who otherwise strongly support Mr Corbyn's leadership - say fellow activists are feeling disheartened by the reluctance of the leadership to call for a new referendum. Michael Chessum, from left-wing campaign group Another Europe Is Possible. told me: "Labour's leadership has to understand that I as a left-wing activist, and other left-wing activists in Momentum, are very worried about the threat to the Corbyn project if Corbyn spins so far away from his members. "I think there is pain for Labour whatever direction we go now, but we have to go back to the people and if Corbyn does that, it will save the entire situation." Michael Chessum expects about 200 of Labour's local constituency parties to debate Brexit policy this month. His group wants to see both a fresh referendum and a defence of the free movement of people. Polling suggests strong support for a referendum amongst rank and file Labour members, but other opinions are available. The left-wing Campaign for Labour Party Democracy is circulating a counter-motion for discussion amongst Labour's local parties. This is supportive of the leadership position, which prioritises an election over a public vote. And sources say at Wednesday's policy commission meeting, consideration was given to the views of those members who had expressed concerns about moving quickly to support a new referendum and those who wanted to make clear that the result of the 2016 vote was being respected. There was also vocal support for the "sequencing" of any response to the government on Brexit - in other words pressing for an election before any other options were considered. And there was praise for the leadership's decision not to table a confidence vote before Christmas, instead waiting until the prime minister puts her deal to a Commons vote. Nonetheless, there have been tensions at the top of the party over when exactly to press a vote of no confidence in the government. Supporters of a new referendum had been pushing for this to be done swiftly as they expect it, and calls for a general election, to fail. They could then push for the party to campaign for a public vote. 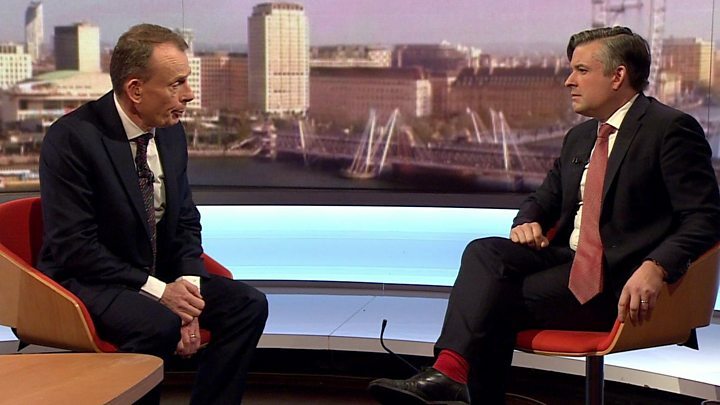 Media captionLabour's Jon Ashworth: "We're not enabling Brexit. This country had a referendum"
For obvious reasons, opponents of a new referendum - and some shadow cabinet members want to avoid this at all costs - haven't been keen to move so swiftly. As things stand, I am told it's likely that the two positions will be reconciled. As parliament today has, in effect, asked for the prime minister to come back with a Plan B within just three working days of her deal going down to defeat, then this seems to be emerging as the favoured time for a confidence vote. Labour MP Kate Hoey - who campaigned to leave the EU - has known Jeremy Corbyn for years. She believes that even if Labour's confidence vote fails to bring about an election, her party leader won't rush to embrace a new referendum. She told me: "I think Jeremy will resist the call for a second referendum unless there is absolutely no other option. "And those of us on the Leave side will always say there are lots of options." Party insiders tell me not to expect a dramatic change in policy from the Labour leader in Thursday's speech.